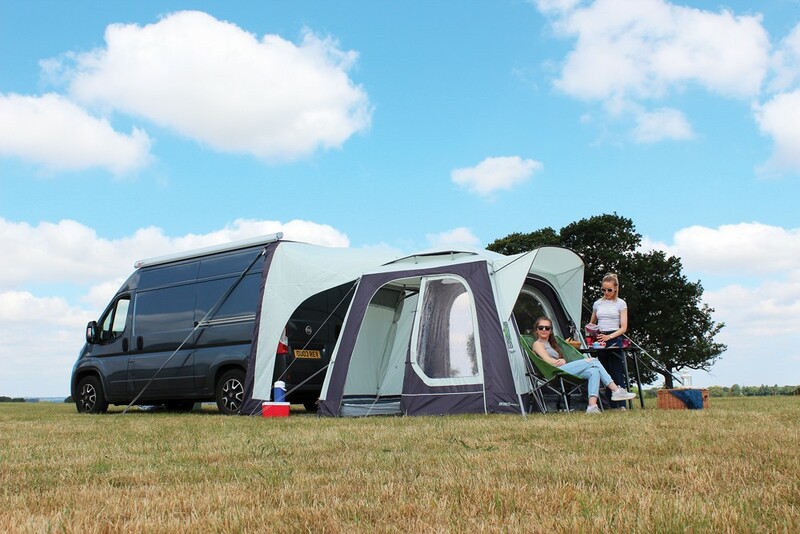 Outdoor Revolution has come up with the perfect solution for the increasing number of motor homes and camper vans with rear door access. 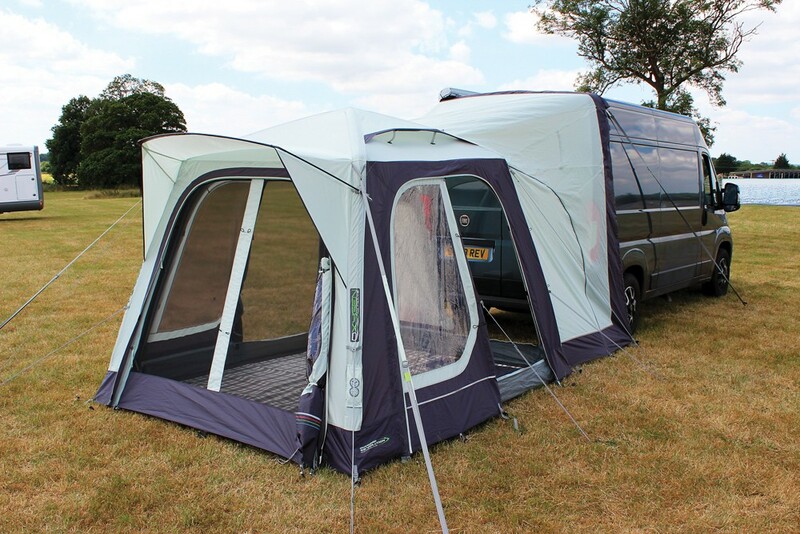 The Movelite T1 Tail inflatable air awning has been especially designed to attach over vehicle tailgates. 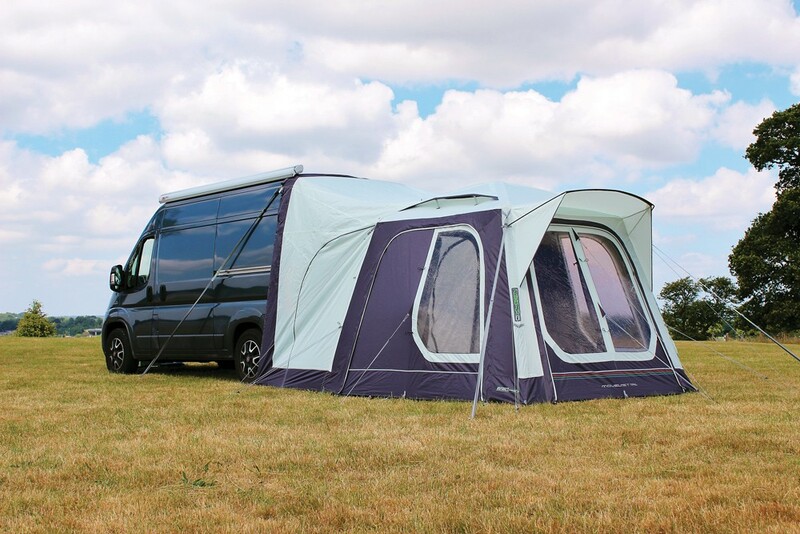 It features an extra long adjustable cowl and the High version is designed to attach to motorhomes and campers with a height of 255cm to 305cm. 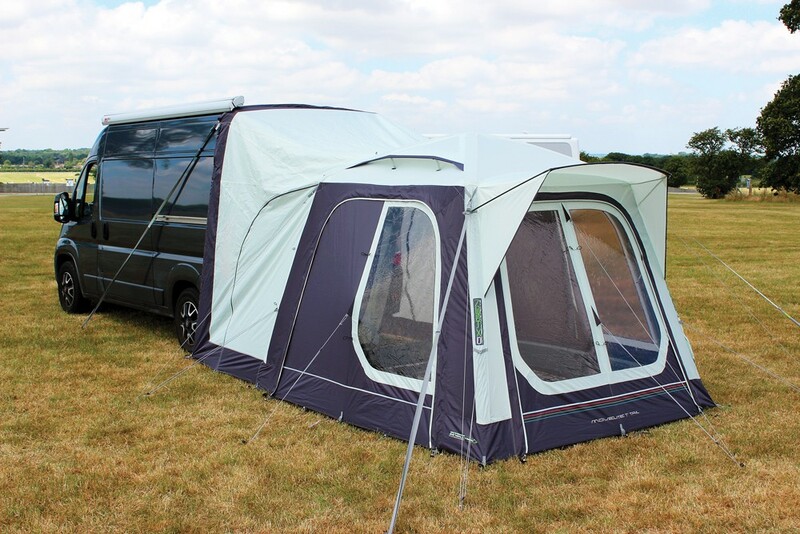 Outdoor Revolution uses their premium 480HDE double rip-stop material to create the Movelite T1 Tail awning. 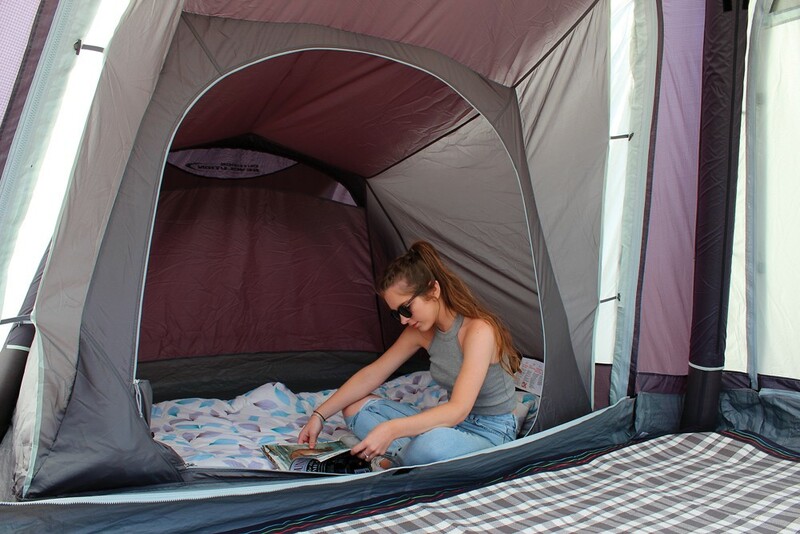 This durable fabric provides the optimum strength to weight ratio, making it lightweight enough for an easy set up. 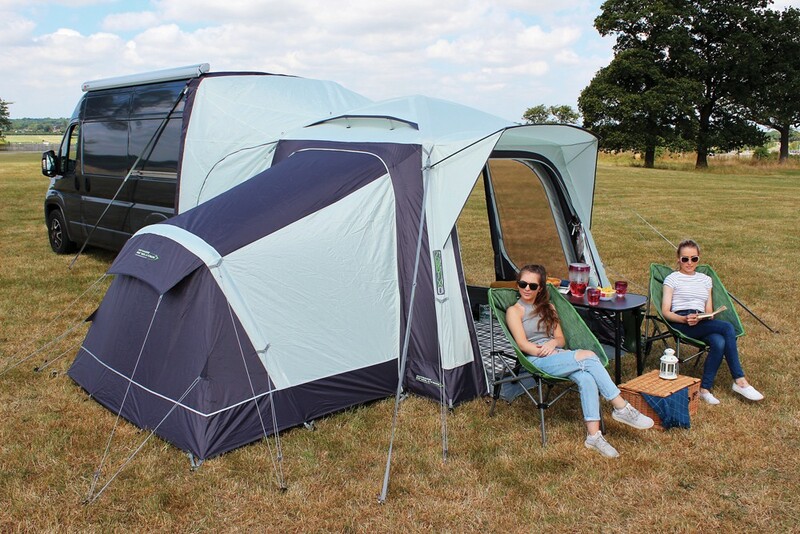 This inflatable drive away awning comes complete with a zipped in and fully removable polyester groundsheet. 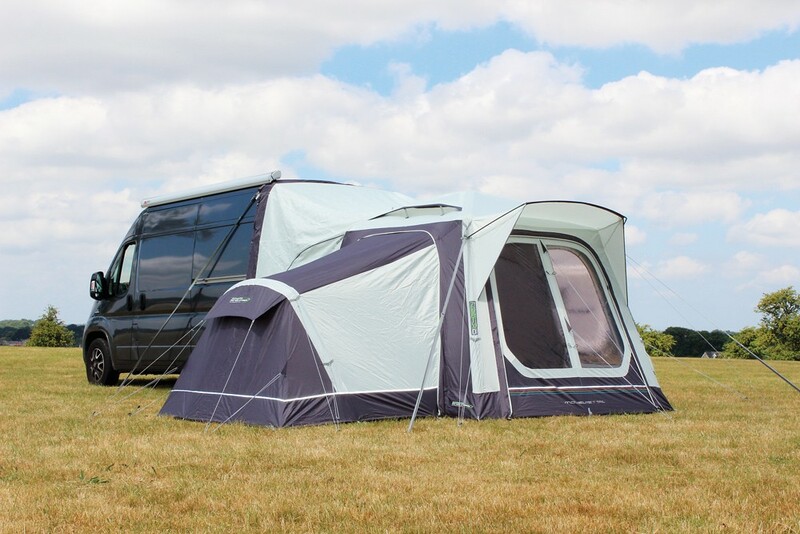 This can also be replaced with the optional zip-in breathable groundsheet, should your caravan site require this. 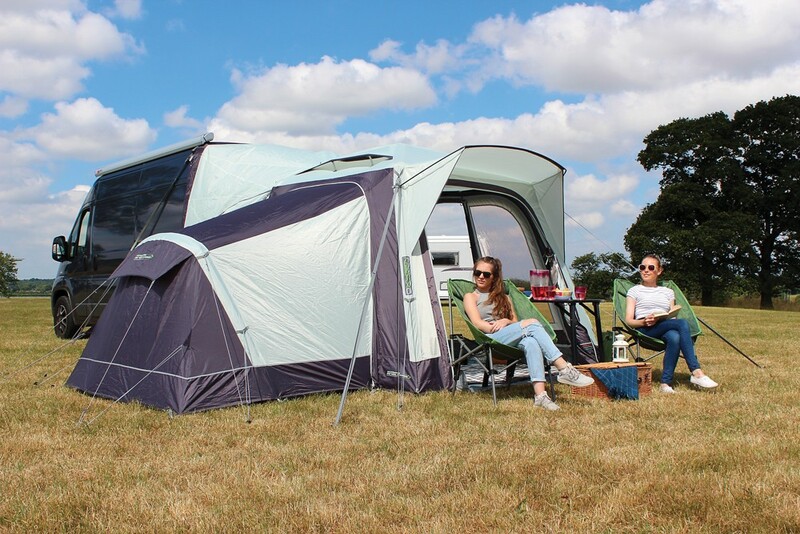 The Movelite T1 Tail awning features Outdoor Revolution’s Dura-Tech single inflation point tube, making set up quick and easy. The intelligent frame relief valve protection system helps to prevent over inflation of the tubes by expelling any excess air above 6PSI. This helps towards preventing damage to the tubes and therefore making it longer lasting. 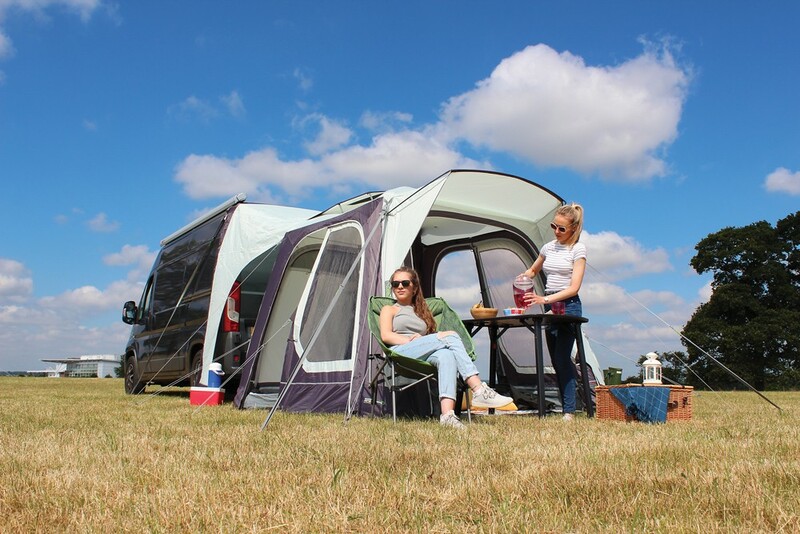 Outdoor Revolution has added a front eyebrow canopy for 2019, offering a greater weather protection when it’s raining. Ventilation has also been added in the interconnecting rear cowl door and roof ensuring a better flow of air in warmer climates. The Movelite T1 Tail also has the option to extend it with the optional Movelite T1 Annex. 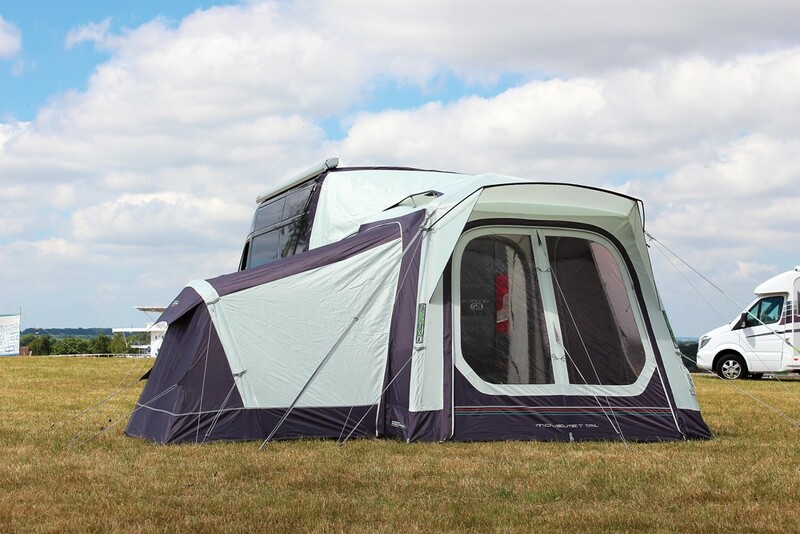 This Annex can be attached to either side of the Movelite T1 Tail awning and provides an additional sleeping area for guests. 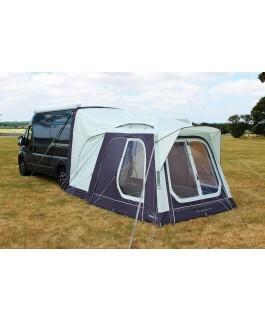 It comes complete with a two berth inner tent and features rear ventilation points for a great night’s sleep. Tapered Extra Deep Cowl - 140cm Deep Cowl Ensuring a Snugger, Weather-Tight Tail Gate Fitting.